An environment like none other. Sitting atop 3 acres of land and 20,000 sqft of indoor and outdoor therapeutic space, Level Eleven and Dixie Lodge have created an uniquely unmatched environment. 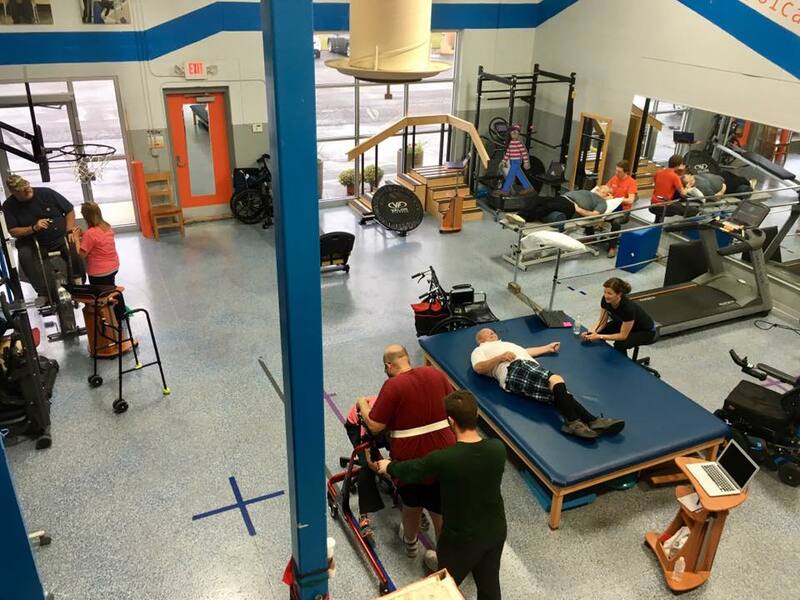 This isn't your everyday rehab center. Our 2-story clinical gymnasium is an athletic complex for recovery. With Dixie Lodge down the hall, our patients also experience real-world rehab experience while practicing transfers, gait training, and ADLs in a fully-functioning living environment. Step outside onto our outdoor therapy patio or train along our nature path. This isn't the level of rehab you once knew, this is Level Eleven. Located on M-59 (W. Highland), Level Eleven Howell provides easy access to world-class therapy for patients from Lansing to Ann Arbor and everywhere in between. Stop in and ask for our Senior Physical Therapist, Dr. Nick Monday, DPT. Located on Bay Rd in the heart of Saginaw Township, Level Eleven Saginaw is just down the road from Saginaw Valley State University. This location covers patients from Bay City, Saginaw, Midland and everywhere North and East of there. Stop in and ask for our Physical Therapist, Dr. Chase Hansen, DPT for more information. Yes, we know, the address says "Holly" but we're actually located in Grand Blanc Township. It's a post office thing. Our Grand Blanc location is housed within the world-class Dixie Lodge Living & Wellness center and is our corporate headquarters. Stop in and ask for our Clinical Director, Dr. Amy Selby, DPT or our Senior Physical Therapist, Dr. Mandi English, DPT for more information.